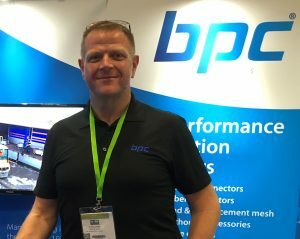 BPC Building Products, a leading manufacturer of constructional fixing components and builders’ metalwork, has expanded its team following the appointment of Neil Garner as Head of Sales. Neil, who brings with him more than 25 years’ experience within the manufacturing sector, has worked at managerial level for a number of years, including most recently as Sales Manager for one of the UK’s largest abrasive manufacturers. As head of the sales department, Neil will use his knowledge and expertise to develop opportunities for both BPC and its distribution partners. He will also be responsible for bringing together a new internal and external sales team and developing strong strategies for all sectors that the business operates in, including construction and DIY. BPC Building Products Ltd is a manufacturer and supplier of quality construction and DIY products for supply to Builders’ & Timber Merchants, Hardware and Landscaping Retailers. Established in 1977, BPC continues to manufacture high quality components in the UK. The company offers millions of components from stock at its modern factory and warehouse facility in Wakefield, West Yorkshire. It has achieved consistent growth by offering a quality product range at competitive prices, as well as next day delivery to merchants and distributors and a service that is second to none.